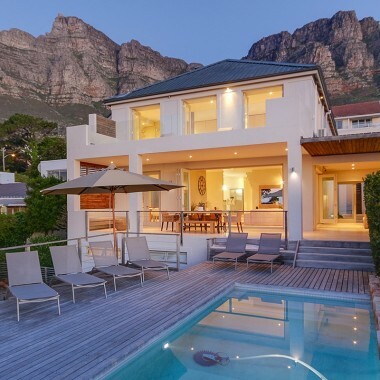 This spectacular villa sits in an equally spectacular location at Clifton beach, adjacent to the Lions Head nature reserve. It was designed by Stefan Antoni architects with a specific brief of creating an “inside/outside” house. 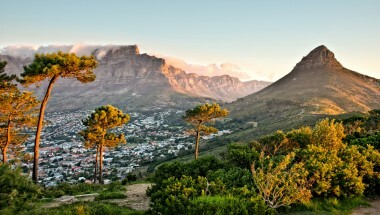 It enjoys panoramic views of Clifton’s famous beaches and the vast Atlantic ocean. The accommodation includes four large bedrooms all with super-king size beds, a dining room with triple height ceiling, plus an amazing chandelier art installation and a very well equipped kitchen. The stunning inside/outside drawing room has glass walls that ‘ disappear' and a 'floating' bar. There is also a 9 seater private cinema with DVD players and media server, a wine cellar, and an office. The private gymnasium is equipped with Technogym equipment and there is a separate massage room with massage bed, electric massage chair and private steam room. There are amazing sea views from every room except the wine cellar and cinema. Scattered throughout the house are also sculptures by Dylan Lewis and other South African artists. There is Wi-Fi throughout, under floor heating in all bathrooms and reverse cycle air con in all bedrooms. 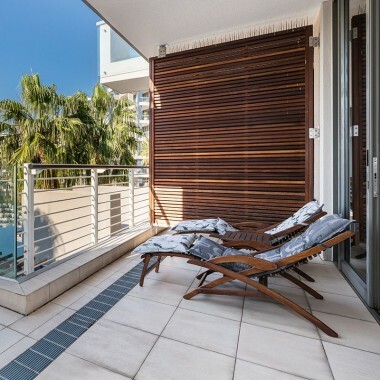 The house has extensive home automation and can be controlled by I -pad (provided).Outside there are two further dining areas (one with wood burning Braai) , and a huge solar heated pool -all on the sixth floor! There is also a lawn and huge feature waterfall in the garden. There are security cameras, electric fencing to the rear, garaging for two cars and off road parking. 4 bedrooms with en-suite bathrooms. 3 guest cloakrooms. Living room. Dining room. Fully equipped kitchen. Wine Cellar. Library. Luxury Cinema (9 seater) with media server, DVD (normal and Blue Ray) player and DSTV. Office. Gym (Technogym Equipment). Spa with massage bed, massage chair and Steam Room. 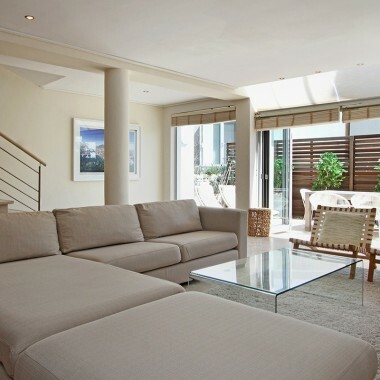 This absolutely stunning villa to rent in Cape Town sits in a spectacular location at Clifton beach, adjacent to the Lions Head nature reserve.Designed as an “inside/outside” house. 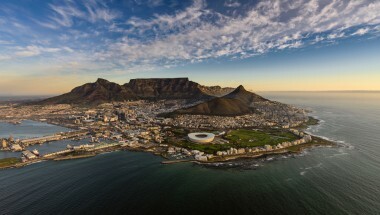 It enjoys panoramic views of Clifton’s famous beaches and the Atlantic ocean.